UTL was turned upside down; can it be “resurrected”? As government shops for an investor to resuscitate the ailing Uganda Telecom Limited, questions remain whether a suitable buyer, willing to navigate Uganda’s intricate business and political landscape, can be got. Mismanagement and government interference have bedeviled UTL in the past, leaving it on the brink. At the moment, the firm is heavily indebted and is operated by a skeleton staff. Yet UTL had its good days, which now appear to have faded into the past. Until the mid 1990s, Uganda Posts Telecommunications Company (UPTC) was the sole provider of telecommunication services in Uganda. UTL dominated the landline business before the liberalisation of the sector. In 1997 following the passing of the Communications Act, the UPTC was divided into four entities: Uganda Communications Commission (to regulate the communications sector), Uganda Post Limited, Post Bank and Uganda Telecom Limited (UTL). 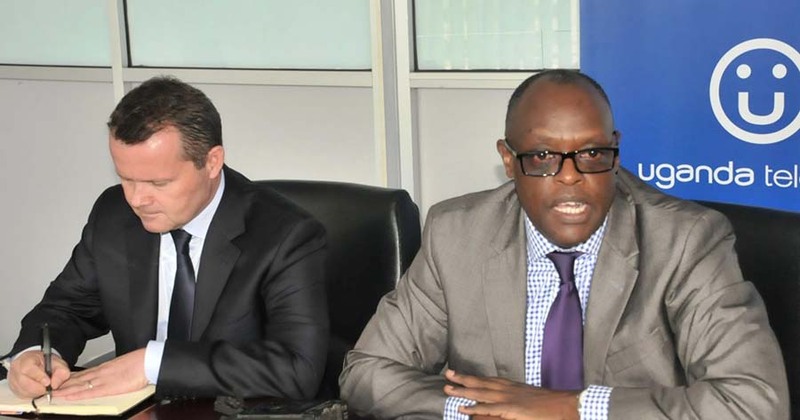 This divesture therefore put telephone communication services into the hands of UTL. In June 2000, UTL was privatised after government sold 51% of its shares to Ucom- a consortium that comprised of Telecel from Switzerland and Orascom Telecom from Egypt. Government retained 49% of the shares. At that point UTL had a countywide network of communications infrastructure and ran huge contracts with government institutions such as the police, prisons, ministries. 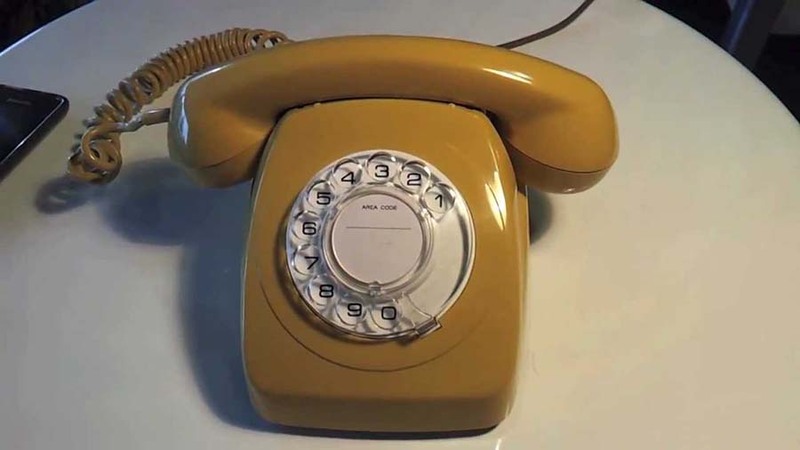 When the sector was fully liberalized other firms such as Celtel (Airtel) and later MTN joined the fray with high end wireless technology that took the market by storm. Analysts trace the beginning of UTL’s painful but slow death to the entry of these mobile telephone firms. “These firms came with wireless technology, were efficient, innovative and could easily read the mood of the customers,” said one of the analysts who worked at a top telecommunications company for eight years. 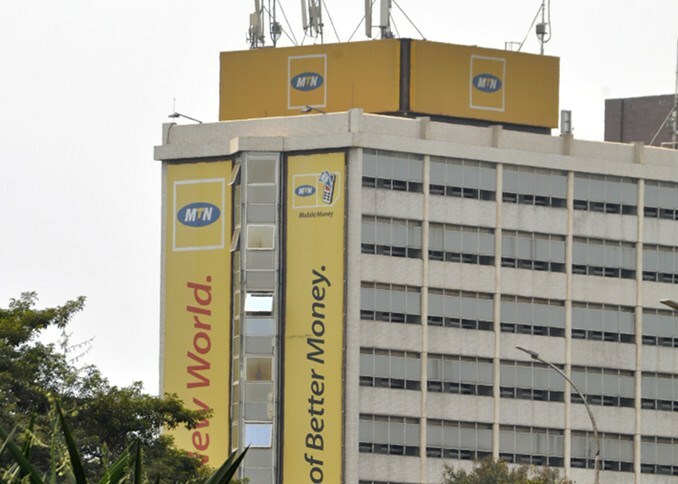 Firms like MTN were very innovative and efficiently run. These bureaucracies haunted the firm when it joined the mobile phone market in 2001. UTL, according to industry sources, had hoped to leverage on its existing infrastructure to outmuscle the foreign firms. Their calculation was that it was going to be expensive for other firms to roll out their networks across the country. Yet what UTL did not realize immediately, the industry players say, is that a lot of its technology was obsolete and needed a major revamp. In 2004 after this reality dawned on them, UTL managers told government they needed Shs 30 billion to revamp its technological infrastructure and become competitive in the mobile phone industry. But government bluntly told it that propping it up at that material time was not a matter of utmost urgency because it was dealing with a number of problems, most importantly the LRA Kony war which was gobbling up an estimated Shs 1 billion daily. With their tails between the legs, the UTL managers went back to work, hoping they could come up with a strategy that could rescue the floundering firm. Yet as other networks continued to grow, the slump at UTL continued. Unlike other largely owned foreign telephone firms which were run efficiently and prudently, at UTL the situation was dire. “It was everyone for himself and God for us all,” who worked at UTL between 2005 and 2015 when he was laid off. Money was being embezzled left, right and centre while company equipment and property was in some cases misused by senior managers. By 2006, the firm was hanging by the finger tips and Ucom other foreign shareholders were threatening to throw in the towel because they could not get things done. We have been told that President Museveni got concerned and met UTL managers and shareholders, trying to re-assure them that matters will be rectified. “The Swiss (Telecel) had already made up their mind and were looking to sell their shares. They were trying to convince their Egyptian partners (Orascom) to ditch the deal,” an industry source told Nile Post. Sources have told us that this state of instability within UTL created negative energy. Some senior managers jumped ship and looked for greener pastures. In March 2007, shortly after President Museveni had visited Libya, it was announced that Libya Africa Portfolio (LAP)Green-com had acquired Ucom’s 51% stake, making it the biggest shareholder in UTL. The deal was reportedly brokered by Kampala businessman, Habib Kagimu who was a close friend of the then Libyan leader Col Muammar Gaddafi. Some analysts warned that LAP Green-com, which had no experience in telecommunication sector, was not a proper fit for UTL. In a paper titled: “Analysis of the Acquisition Process of Uganda Telecom by LAP Green-com” by Jonathan L. Muwonge and Dr. Emanuel Gomes of the Coventry Business School Coventry University, the experts warned that the Libyan firm was engaged in so many activities and would not take UTL as priority. “There is some potential for negative synergies because of this potential lack of focus from LAP Greencom; being a large diversified group it may not give priority to this new investment in telecoms,” they wrote in a paper in 2007. Irrespective of the reservations, the entry of the Libyans brought hope to many workers within the UTL. Flush with oil money, they embarked on the process of revamping the firm’s outdated infrastructure. The firm was rebranded (the logo was changed to a smiley of a smiling face). They breathed life into the company’s internet data service and spearheaded a number of innovations. 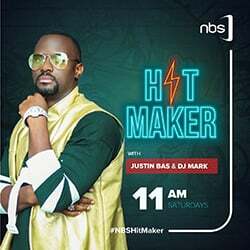 In fact, it is said that UTL was the first to develop the mobile money idea in Uganda but it dilly dallied at the testing stage, leaving MTN and Zain (Airtel) to beat it to the finish line. Things were looking up for the bedeviled firm. Or were they? LAP Green’s business fortunes were closely tied to the political situation in Libya, once the political environment started to change in Tripoli, so did the business climate at UTL. The war in Libya came with business repercussions for government owned Libyan firms home and abroad. 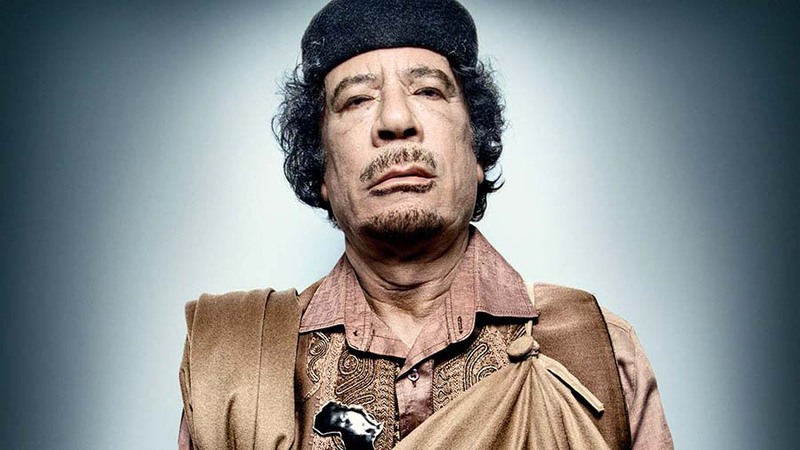 The collapse of Gaddafi’s regime in Libya had a major impact on LAP Green’s global operations. UN imposed sanctions and Libyan firms could not do business anywhere. This affected LAP Green, whose Libyan managers were staring at an uncertain future. Once the sanctions were lifted after Gaddafi’s overthrow and LAP Green was given a go ahead to resume business, a new grim picture of UTL emerged. Reports of mismanagement and extravagance of Libyan managers emerged in 2016. Secondly, UTL’s debt portfolio burgeoned as it became clear that the firm had been shredded to the bones. For instance, the wage bill for four senior managers: managing director, chief human resource officer, chief legal officer and chief finance officer totalled Shs 420 million. This represented a third of the salary bill of UTL’s entire workforce estimated at 500 workers. Parliament instituted an inquiry to probe the mess at UTL. Its findings were gripping and shocking. “You really wonder how a company can get out of this sit­u­a­tion,” Phillip OKin Ojara, who headed the probe told journalists at the time. Some of the firms that UTL owed money are: Uganda Revenue Authority (Shs 58 billion), MTN (Shs 8 billion), UCC (Shs 22 billion), Huawei Technologies (Shs 24 billion) and NSSF which was demanding Shs 16 billion. Fire-fighting became the main pre-occupation of UTL managers as the firm moved from one crisis to another. In a February last year, a number of its top employees threw in the towel. These included: Gabriel Ewalu, who had been working as Interconnect Manager, Stephen Kasumba, formerly National Sales Manager-Direct Sales, Ali Tamubula, formerly Regional Sales Manager-East, Christine Kainamura, formerly Distribution and Logistics Supervisor, John Sendikaddiwa, formerly Head of Finance, Catherine Alepus, formerly Cashier-Head Office, James Mugombe, formerly Specialist NGN and John Magala, formerly Payments Verification and Fixed Assets Accountant. Early this year, cabinet ordered that an investor to run UTL be sought after finding out that it was choking on debts. At the time, President Museveni ordered all government ministries, departments and agencies to buy internet from UTL as a way of giving it the much needed bloodline. To avoid handing over UTL to ghost companies, Museveni also ordered that all shortlisted potential investors be subjected to rigorous investigations by the Financial Intelligence Authority (FIA). The Nile Post has obtained an evaluation and assessment report of the six firms that showed interest in investing in UTL. From the report, it is clear that many of the firms that had put in bids to run UTL, were speculators with no proven track record. According to FIA report, Hamilton Telecom put in the highest bid of $70 million. The problem is that FIA could not get hold of its financial statements, while it appeared to be owned by a single individual, a one Mukalazi Kamya, something that raised eyebrows. As for Afrinet Communications which put in the second highest bid, FIA discovered that the Kenyan firm was not listed as a provider of telephone, internet or mobile money services anywhere. It raised a red flag. Other firms like Teleology Holdings, Neubacher and Baylis Consortium put in good bids but their financial records were questionable according to FIA. In the end, FIA endorsed Mauritius Telecom which put in the lowest bid of $45m. The authority said Mauritius Telecom had a proven track record in providing telecommunication services while its financials were strong. In addition, it’s shareholding was well structured. It had proposed to invest $100 million in the firm over a period of three years (see table below). However last month after reports of corruption and bribery emerged, President Museveni halted the entire process and ordered for new bids. For the time being, UTL remains on life support and at this point, no one can say for certain whether it will emerge out of its largely self-induced coma.